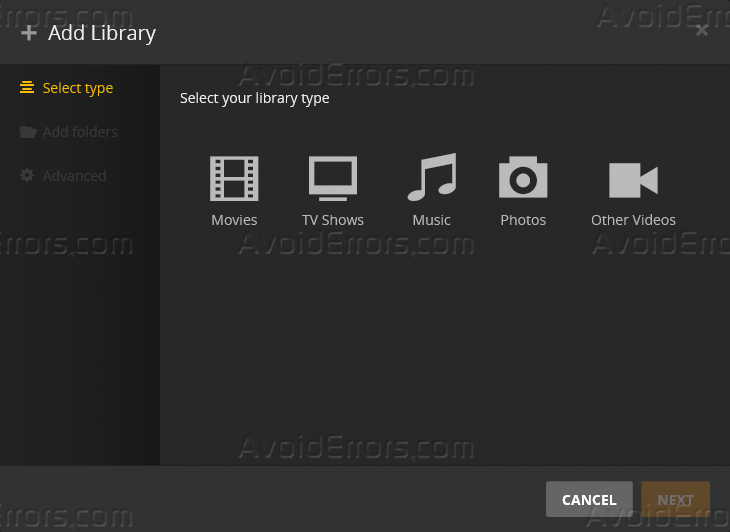 Plex is known as the popular media center server apps available for Raspberry Pi fans. Raspberry Pi users were using the client-side application of plex on their Raspberry Pi but now user can set up Plex Server using Raspberry Pi. The minimum requirements to setup Plex are to have Raspberry Pi 3 with Raspbian OS installed and 8GB of micro SD card. Make sure you have updated your Raspbian OS. To update Raspbian OS, open the command line and type the following commands. Once done, check that you have HTTPS transport package installed and this will ensure secure communication between server and clients. In latest Raspbian OS it is already installed but you can check it by running the following command. This command will install the latest version and if that is already installed, it will show you the message and the latest version is already install. Now you need to add dev2day repository to your package. You can get the crypt O Key from their website using the following command. To download the Plex, run the below command in terminal, and press Y when prompted. Once done, press Ctrl+X and then type Y to save the changes in the file. Once done, restart your Raspberry Pi by running the below command. Now your Plex server has been installed. The next step is to add the files in your server. For this, open your web browser and type the IP address you have assigned to your plex server. 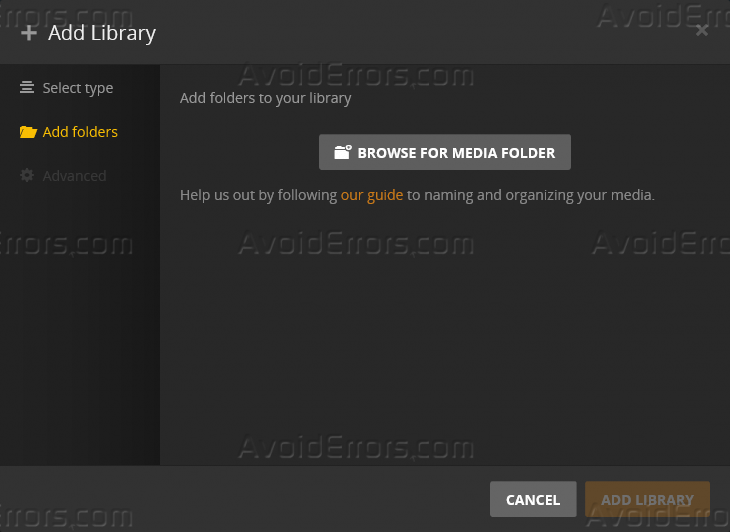 Select the media type you want to add in your library. 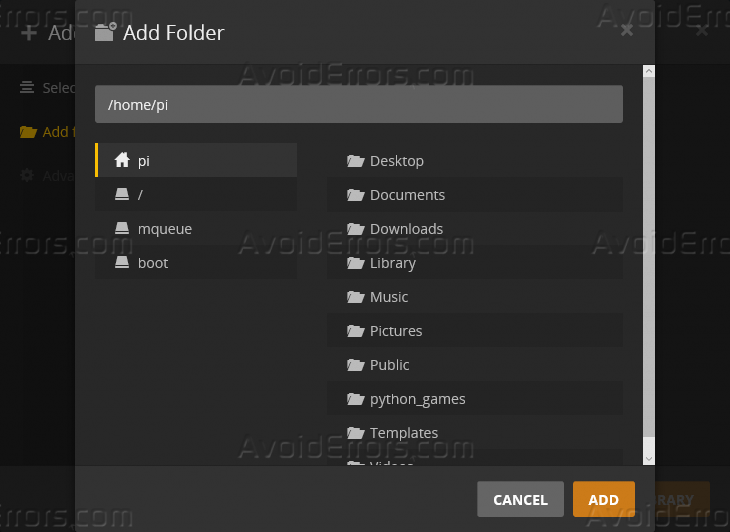 Now click on Browse for Media Folder button and locate the files, those files can be on your microSD or external storage attached to your Raspberry Pi. Once selected, click on Add. This will add Media files in your Raspberry Pi based Plex server. Now you can access your media files using Plex client apps using client devices running on the same network. Client app will automatically detect the server for you.